© Cory Marshall. All rights reserved. 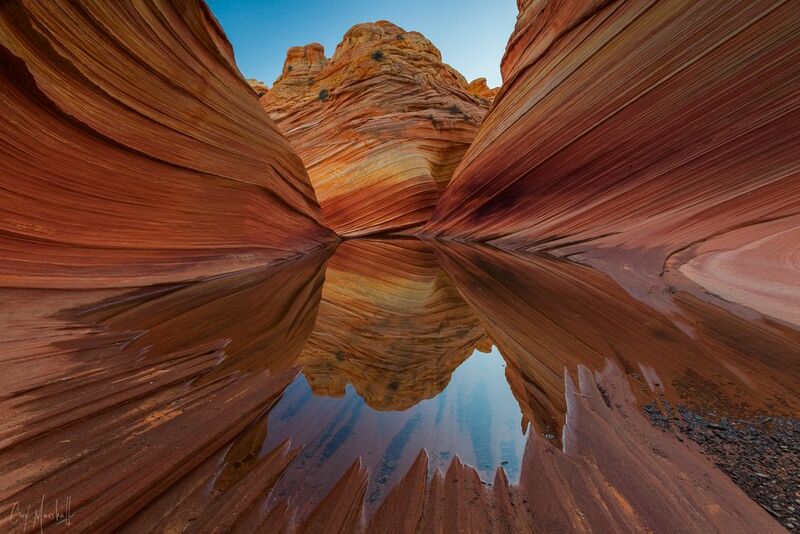 On my last trip to Southern Utah and Northern Arizona I was fortunate enough to win the lottery to hike to The Wave. It was even more amazing than I thought it would be. I hiked out a few days after a rainstorm and luckily there was still a pool of water which created a unique mirror reflection. I spent the entire day at this location in awe of how the forces of nature has eroded this awesome sandstone formation. Date Uploaded: Nov. 16, 2014, 5:26 p.m.